This is a pack of two JConcepts Dirt-Tech 60mm 1/10 Buggy Closed Cell Rear Tire Inserts. JConcepts has upped the ante with the Dirt-Tech 60mm closed cell insert, made specifically for the larger 60mm (2.4") wheel and tire size. 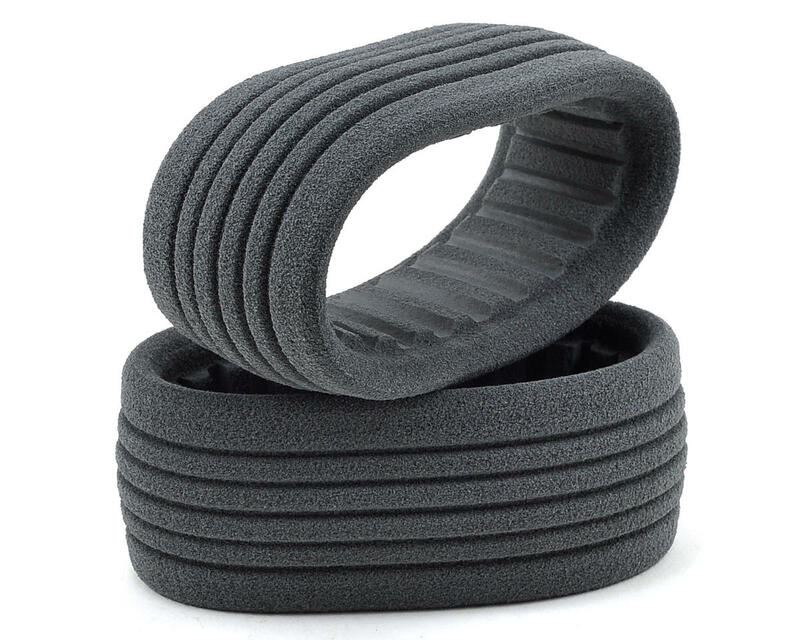 Gray in color, these inserts were developed in conjunction with tire insert guru, Brian “Dirt” Kinwald to deliver incredible performance, while at the same time providing the durability that racers demand. The rear inserts have alternating shallow and deep cuts on the outside which touch off against the inner carcass of the tire, providing a cushy response and feel. The inside diameter of the insert has horizontal channels cut in a 360 pattern to soak up the large impacts and help create forward bite and increase acceleration. 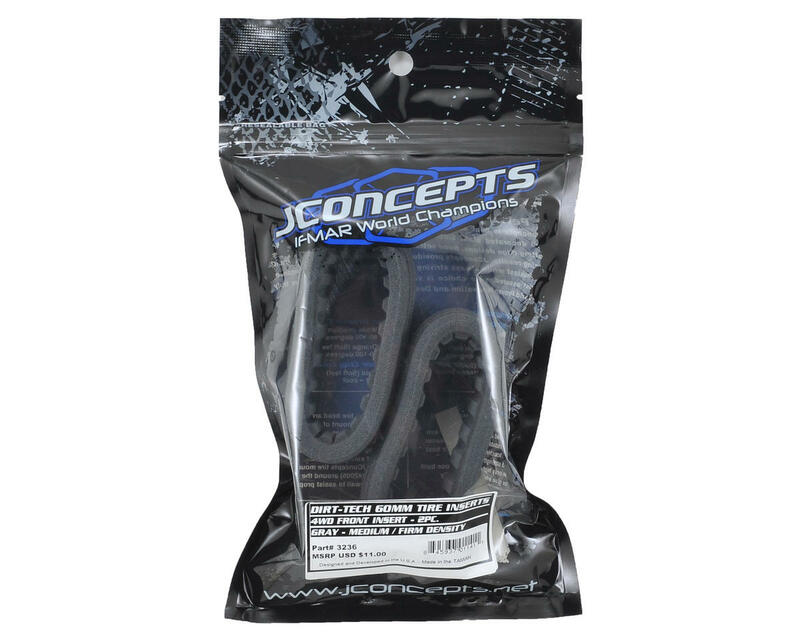 The custom sculpted JConcepts design has been blended with a unique medium/firm density material to provide racers with a durable option that is an excellent choice for medium to extremely high-traction conditions.